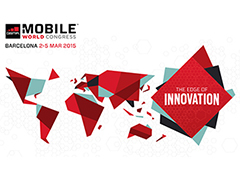 Mobile World Congress is one of my favorite times of the year. The people, the buzz, the innovation. It’s truly a rare moment when much of the best and brightest of mobile is on display in one place. But this exciting atmosphere underscores an important point to keep in mind about the amazing rate of change in mobile: You have to be judicious in how far and how fast you embrace the “next big thing” and not lose focus on your most proven areas of revenue and growth. One example of this for me is all the buzz around the Internet of Things and wearable devices this year. As anyone that knows me will tell you, I love innovation. In my house, if something can be wirelessly connected, it usually is. As a technophile, a consumer and a mobile professional, I think the Internet of Things and wearables represent incredibly exciting innovations. But for mobile operators focused on today’s bottom line – not so much. At least not yet. While these two innovations have the potential to reshape mobile down the road, the truth is, it’s still too early at this point to determine how much value they offer operators in the short term. In this way, I see the Internet of Things and wearables as somewhat of distractions from much more commercially pressing issues for operators. This week, Syniverse is shedding light on the notion of these innovations as distractions at Mobile World Congress. We’ve just completed a new study that compares crucial areas of revenue opportunity and risk for operators. The results highlight what we think is an imperative for operators to maintain primary focus on core business areas like roaming and to take action to protect revenue in the face of today’s fierce battles for subscribers. To put this issue in perspective, we worked with our friends at On Device Research and Strategic Economic Engineering Corp (SEEC) to try to break down the value of core areas of revenue opportunity as well as revenue risk. The results have been eye-opening to say the least. “Roam like home” deals are putting more than $16 billion at risk today for large operators in the U.S., the U.K. and Germany, as consumers say they would consider switching service providers for a roaming discount. If roaming pricing is proactively addressed, the global roaming services market is expected to grow by more than $30 billion in the next three years to $90 billion. That’s 6.4 percent of total global revenues by 2018. We’re encouraged by the insights our study has uncovered, and we think the results will offer an important resource to guide operators’ business investments and long-term priorities for 2015 and beyond. Although roaming is not quite as shiny and new as the Internet of Things and wearables, these are attention-grabbing numbers. As our study results above reveal, “switch risk” can be substantial if operators fail to address their roaming pricing with a responsive strategy. It’s exciting that intelligent roaming solutions can help operators address short-term competitive threats, medium-term revenue opportunities and long-term relevance in a rapidly evolving industry.